Thảo luận trong 'ENGLISH' bắt đầu bởi Jose Antunes, 17/4/19 lúc 02:52. 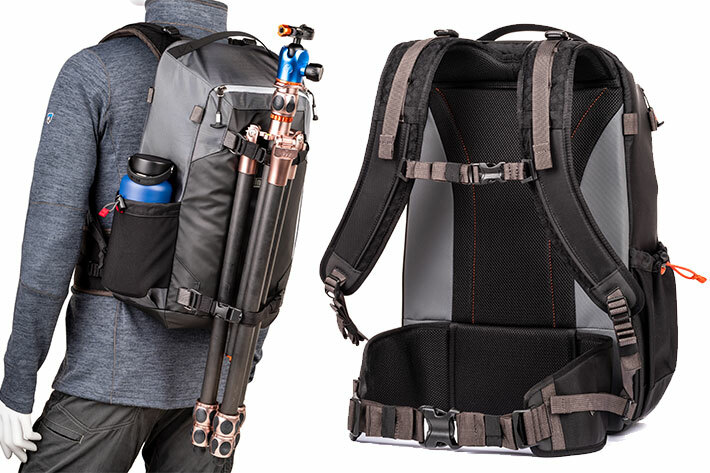 Announced at the right time for your next outdoor adventure, the PhotoCross 15 represents my idea of the ideal size backpack for day trips, so you carry all you need and don’t look like a beast of burden. Some backpacks, you just read the information about them, write a piece of news and move ahead. Others, you study them, look from every angle, and imagine how they would fit in your workflow, as a solution to take your gear around. The MindShift Gear PhotoCross 15 falls in that second category, and that’s the reason why I am treating it as more than… yet another backpack. There is a good reason why I decided to explore a bit more of the PhotoCross 15: it has, from where I see it, the ideal size to be used as a day trip backpack, enough to take your gear around comfortably, without looking like, as I said, a beast of burden. The Beast of Burden song by the Rolling Stones comes to my mind when I use the term, which happens always when I see someone carrying a huge backpack for a simple day out taking photographs. Although I will usually sing – to myself – a verse of the song, the term has less to do with the Jagger/Richards lyrics and more with its common use, referring an animal used to transport goods or conduct hard labor, be it an ox or a donkey. 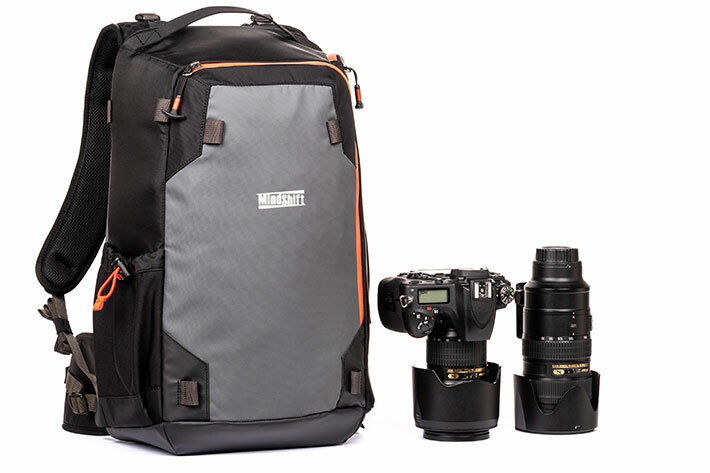 Having the discipline to only carry with you the essential gear when scouting locations or even for a whole day out photographing – or shooting video – is a must, and a backpack that limits the amount of gear you can take with you helps to achieve that goal. The problem with backpacks, many times, is that they either are too small or too big. Having followed the evolution of MindShift Gear’s line of backpacks, and being the happy user of the large Rotation 180 – from which I use the waist pouch a lot – I’ve long waited for a small day trip backpack. The TrailScape 18L is an interesting solution, as are the BackLight 18L or the FirstLight 20L, depending on your preferences and needs in terms of carrying solution. The PhotoCross 15 though, is a different beast. The PhotoCross 15 is different, I say, because while all the other backpacks I mention have a front opening, this one opens laterally, allowing you to reach your gear without taking the backpack off. You just remove one of the straps from your shoulder and the backpack rotates. There is a reason for this: the PhotoCross 15 evolves from the PhotoCross sling bags, 10 and 13, presented previously by Think Tank Photo as part of the MindShift Gear collection. Sling bags are loved by some, and they are adequate if you don’t carry much, and don’t intend to carry your gear the whole day. Although I understand they are practical, I’ve never used them because I prefer to have backpacks, which are more comfortable for long walks. But as I wrote earlier, finding a backpack with the right dimensions is not always easy. Any of the solutions I pointed above are adequate, but the PhotoCross 15, although not the smallest of them, with a volume of 20L, seems like a backpack I would adopt for day trips, and even for longer periods outdoors. Available in two colors, Orange Ember and Carbon Grey, the PhotoCross 15 backpack costs $169.99. It represents an evolution of the original sling concept of the PhotoCross family, keeping the extra-large side panel that provides quick access to your gear when you’re ready to take the shot, but adding an extra strap and some changes in design, as requested by photographers who loved the sling solution but wanted something built to withstand the elements, yet comfortable enough to wear on long days in the field. 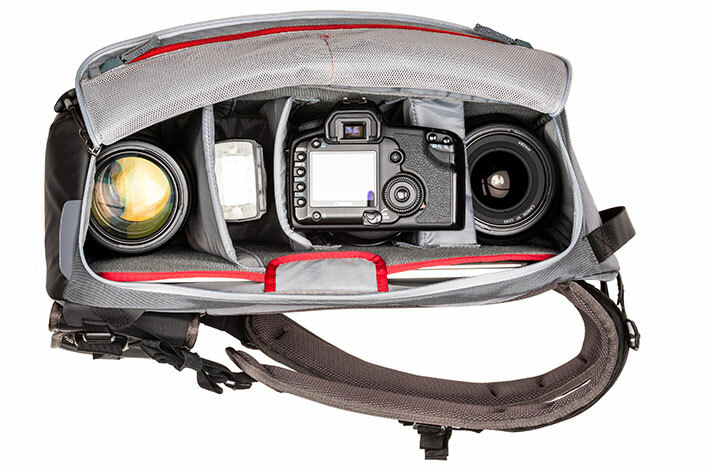 The post MindShift Gear PhotoCross 15 backpack, a step beyond the sling bag concept appeared first on ProVideo Coalition.